Refusing to acknowledge Russia’s “balancing” acts with “Israel” and Saudi Arabia is a disservice to the Palestinian and Yemeni causes because it ignores the important role that Moscow plays in propping up Tel Aviv and Riyadh, resulting in the artificial creation of the overly simplistic and inaccurate narrative that it’s only the West that supports both of those aforementioned powers and that Russia is supposedly on the same side as the “Resistance” vis-a-vis all of this. One of the defining characteristics of the Alt-Media Community is that many of its members are activists who strongly support the Palestinian and Yemeni causes, which regularly sees them condemning the West and especially the US for propping up “Israel” and Saudi Arabia. Those aforementioned powers are responsible for the suffering of the Palestinian and Yemeni people, and the overly simplistic narrative that’s artificially created by most of these activists solely attacking the West for its support of “Israel” and Saudi Arabia is that the problem could be easily resolved if only the US changed its foreign policy. This interpretation overlooks the important role that Russia’s “balancing” acts with “Israel” and Saudi Arabia also play in propping up each of them, leading to the inaccurate conclusion that Russia is supposedly on the same side as the “Resistance” vis-a-vis all of this. 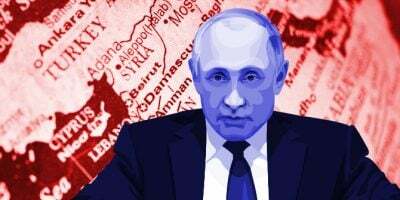 While there are indeed some overlapping interests between Russia, Iran, Syria, and Hezbollah, especially when it comes to fighting terrorists in the Arab Republic, President Putin is first and foremost dedicated to advancing and protecting his own nation’s interests even if this comes at the (perceived) expense of its anti-terrorist partners’ elsewhere, ergo Russia’s strategic partnerships with both “Israel” and Saudi Arabia. Whether one agrees with the overall strategic wisdom behind them in advancing multipolarity or thinks that this is a naive strategy that’s doomed to fail, it’s an objective fact that Russia is pursuing these two partnerships out of its desire to “balance” Eurasian affairs and potentially replace the US’ influence over both of those powers. Recognizing this reality isn’t endorsing it or expressing a moral opinion about it, but is simply an apolitical and amoral statement of the obvious. Nevertheless, many Alt-Media activists defensively behave as gatekeepers by feverishly suppressing any talk about how President Putin recently ordered the Russian special forces to dig up the remains of 20 “Israeli” “soldiers” in Syria or that the state nuclear energy company Rosatom is bidding to build 16 nuclear power plantsin Saudi Arabia, let alone how the much-celebrated shipment of S-300s was nothing more than a pro-“Israeli” infowar stunt and that Moscow also just confirmed that it’s shipping state-of-the-art rocket launchers to Saudi Arabia. The US is regularly attacked by these very same activists for supposedly “pandering” to “Israel” and contributing to the War on Yemen through its arms exports to Saudi Arabia, yet Russia apparently gets a pass for both for reasons that will now be speculated upon. Before proceeding any further, it’s not being argued that anyone should condemn Russia, but just that those who feel strongly enough to condemn the US and others for the same should either explain why they choose to apply different standards towards Russia (possibly by elaborating upon the bigger picture involved with its “balancing” acts) or criticize it with the same intensity out of “ideological consistency”. Ignoring what Russia’s doing, however, is an extreme disservice to the Palestinian and Yemeni causes because it unnaturally omits one of the most important actors from the strategic equation and also contributes (whether deliberately or inadvertently) to the creation of an Alt-Reality where Russia is wrongly implied to be on the same side as the “Resistance”, which it certainly isn’t in these cases. While only the pro-Palestinian and/or -Yemeni activists who don’t publicly comment on Russia’s “balancing” acts with “Israel” and Saudi Arabia can account for their own actions (or rather, lack thereof), it’s very possible that they’re either ignorant of these facts or are pursuing an agenda. Per the first-mentioned, while Russian international media occasionally reports on the various facets pertaining to these “balancing” acts, they aren’t “promoted” as much as other topics, leave alone the criticisms that they regularly publish about the US and other Western countries’ ties with “Israel” and Saudi Arabia. As for the second-mentioned possibility, some self-interested activists might not want to risk being overlooked for interviews on Russian international media if they criticize Moscow, “rationalizing” their approach as a “necessary sacrifice” for raising awareness about their cause. Whatever the real reason may be, it’s actually counterproductive to these two causes to ignore Russia’s strategic relations with “Israel” and Saudi Arabia because it creates creates the false impression that Moscow is on the same side as the “Resistance”. It also overly simplifies the plight of the Palestinians and Yemenis by making it seem like their woes would be resolved if only the US changed its foreign policy, forgetting that Russia is also sustaining “Israel” & Saudi Arabia and ensuring their security through multiple means. At this point, no activist can continue to plead ignorance of the facts when Russia has made them as obvious as it did, meaning that many who continue to ignore this reality are likely doing so in order to promote an agenda.